An essential piece of a successful ride. 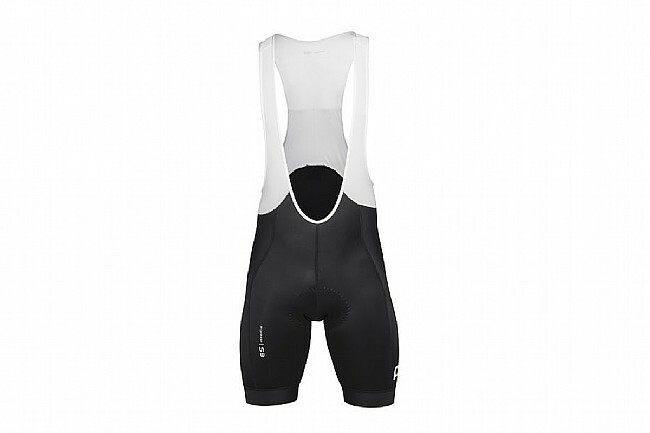 Your choice in bib shorts can make or break any two-wheeled adventure, and luckily POC's Essential Bib Shorts are designed to perform at all levels. The Essential Road Bib Shorts have been constructed with stretch and compression fabrics to ensure an optimal fit and function. The compact structure of the fabric supports your muscles, which helps circulation and recovery, whilst the integrated stretch and flatlock seam construction provides the optimal level of comfort and flexibility. POC's unique silicone based VPDs chamois technology has been designed to bring a new level of comfort and function to cycling bibs. The silicon inserts have been strategically placed to reduce road vibrations and pressure points, whilst the chamois material around the silicon inserts has been optimized for enhanced airflow and reduced chafing. 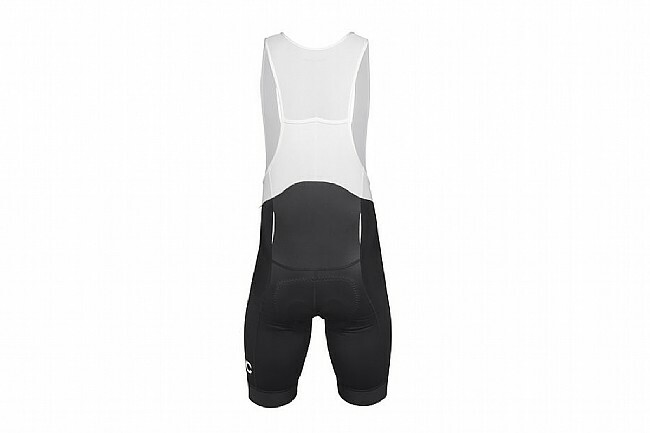 The POC Men's Essential Road Bib Shorts feature an elastic leg gripper for a secure fit, while the highly breathable upper features a small pocket for secure storage of small items. Reflective tabs on the rear improve low light visibility. Featuring a blend of stretch and compression fabrics to provide an optimal fit and exceptional function. Flatlock seams throughout increase next-to-skin comfort. POC's advanced and innovative VPDs Multi D chamois features strategically placed silicon inserts for optimal support. Highly breathable mesh upper with elasticated suspenders for precise fit and comfort. Pocket in rear mesh provides secure storage for small items. Great bib. I crashed and these held up nicely. Fit and comfort is good, but a little pricey. I prefer bibs to regular shorts and I have several pairs from different manufacturers. Im 6 3 and about 220lbs, ordered XL. They fit me well and chamois is comfortable, no complaints after several 40 mile rides. They were on sale so I went for them. Not sure I would pay full price for them when there are other cheaper alternatives.